All our Teachers hold enhanced DBS certificates. We also have public liability insurance.​ Members of Staff also have basic first aid training (St. Johns Ambulance) Safeguarding qualifications and Chaperone Licence’s. Hannah is from Cheshire, in the UK. From the age of three she trained in all styles of dance, along with her twin sister, at Cardwell Theatre School in Altrincham. Julie has worked in all aspects of the industry for over 20 years including actors agent, freelance casting director and as an actor in her own right. Aimee is mostly known for winning ITV talent show Stepping Out, which was presented by Davina McCall and featured Spice Girls Mel B as one of the judges on “the front row” along side Jason Gardiner and Wayne Sleep. Aimee made a record early on in the show by scoring al1 10’s, Full scores for her Sizzling Salsa in just only Week 2 of the series. James trained in Musical Theatre at Pendleton College before graduating from LIPA in Acting. Aswell as being a jobbing actor, he has a wealth of experience teaching in different local stage schools as an Acting and Musical Theatre teacher. Gilly was Head of Music at Wilmslow High School for nine years before joining Withington Girls’ School as Director of Music in 2005. Gilly has rehearsed and directed both choral and instrumental ensembles in Musical Theatre (productions have included Oliver, West Side Story, Joseph and The Sound of Music). Bryony has just recently returned from the US after training at The American Academy of Dramatic Arts in Los Angeles. In 2014 she graduated with a degree in Contemporary Theatre and Performance and from there she moved straight to Hollywood. Ian was born in Manchester and trained at The University of Sheffield. Ian has performed in numerous plays including Edward Bond’s Lear and Howard Brenton’s The Romans In Britain (The Crucible Theatre, Sheffield). Alix graduated with a First Class Honours Degree in Acting from the University of Central Lancashire. Alix has participated in a variety of workshops around the UK and Europe. 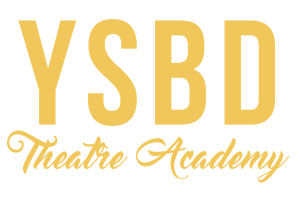 These have included: The Myth and Theatre Festival at Pan Theatre, France directed by Enrique Pardo & Linda Wise and Biomechanics Workshop directed by Gennadi Bogdanov. Lucy- Emma is a professional singer and vocal coach who specialises in teaching the techniques and skills required to become an accomplished singer. Whether it be to lay down the foundations for the start of a singing career or purely for pleasure, Lucy-Emma’s aim is to focus students and help them achieve the basic singing techniques.